Exclusive Nursing Top Design by Elizabeth Brown Maternity. 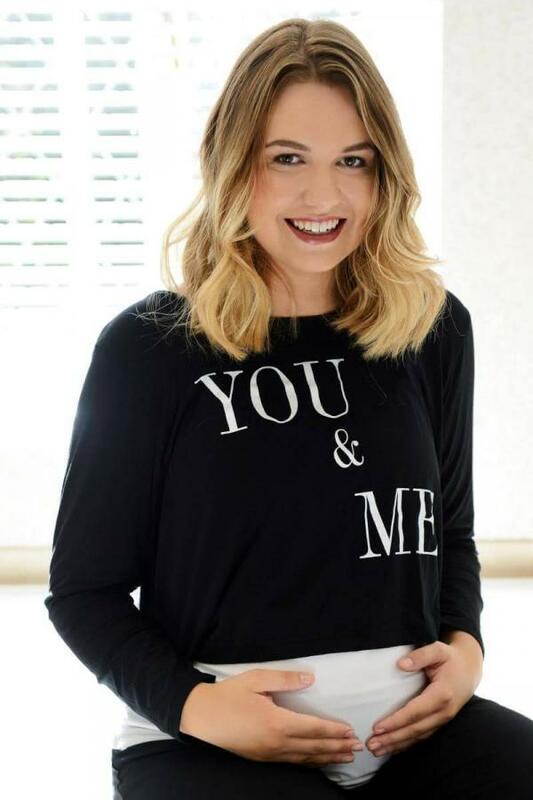 Add a little fun to your maternity wardrobe with the ‘You & Me’ maternity and nursing top. Featuring a white vest top and black slogan cropped top it looks great over your growing bump and makes breastfeeding after a doddle. Just lift the long sleeved maternity top up and pull the vest top down for easy and discreet nursing.